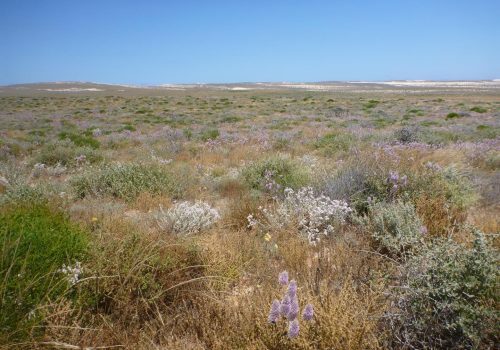 Since 2007 the Parks and Wildlife Service has monitored changes to vegetation on Dirk Hartog Island. During this time sheep and goats have been removed, eliminating the only large herbivores on the island. The vegetation monitoring program uses satellite images along with extensive ground validation to build a picture of how vegetation cover on the island is changing. Changes were first detected and investigated using satellite imagery. 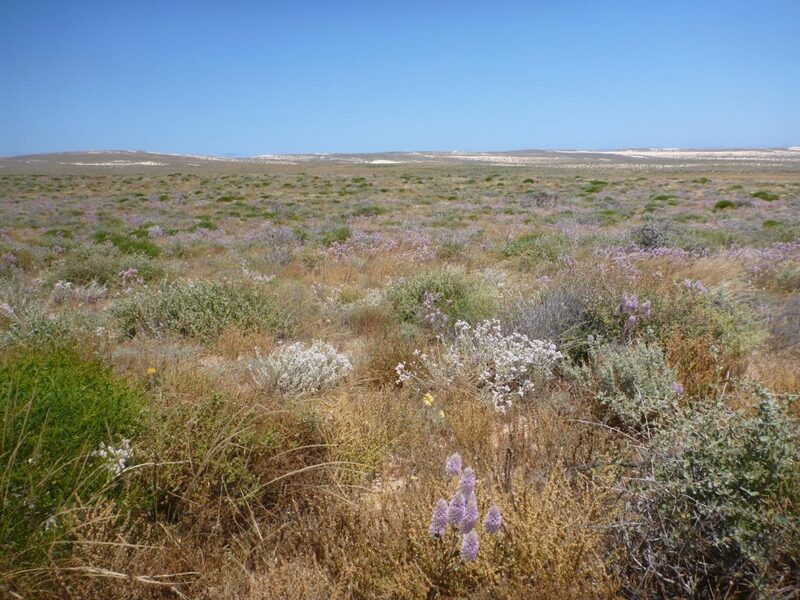 Hundreds of images collected at near monthly intervals since 1988 were analysed to identify where vegetation cover had increased since destocking began in 2008. These areas were then validated on the ground to determine whether the increased ground cover was native vegetation or invasive weeds. Many of the areas shown by satellite imagery to have increased vegetation cover were found to be native species. 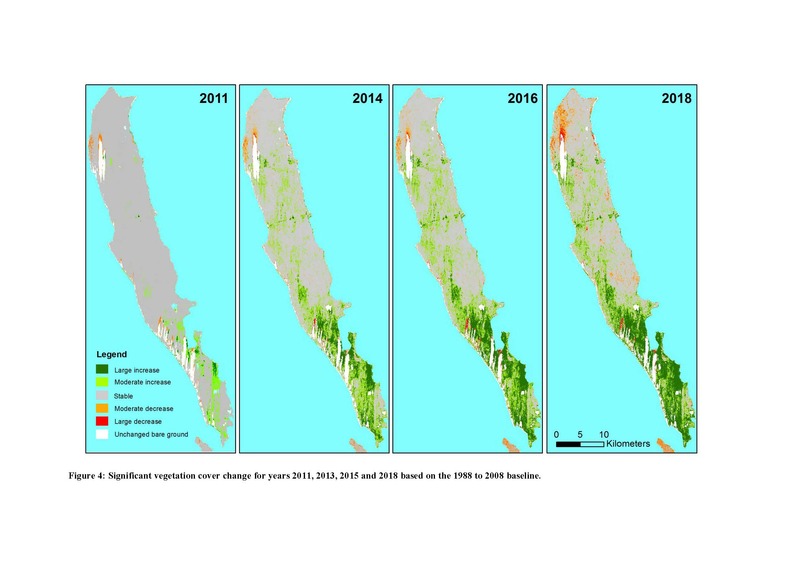 Significant vegetation cover change for years 2011, 2013, 2015 and 2018 based on the 1988 to 2008 baseline. Changes in the extent of sand dunes reflect changes in vegetation cover with reductions in dune cover indicating increases in vegetation cover. The following graph shows sand dune extent changes across Dirk Hartog Island from 1957 to 2018. 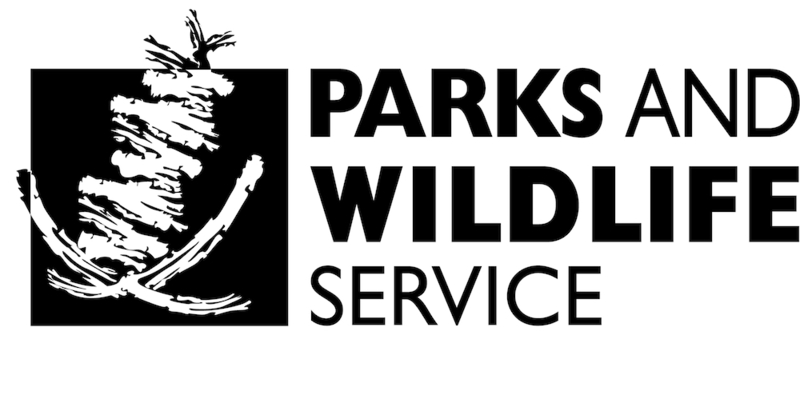 Annual field checking continues with a team of Parks and Wildlife staff, including experts in botany and satellite imagery analysis. Download this poster to find out more about the vegetation monitoring program.